This week’s feature is from Lindsay Kelleher, owner of Ink & Oak Design Co. – a Northern California based calligraphy and signage service. Lindsay is one of the most gifted mamas I have ever met, and I was blown away by her nurturing spirit with her two girls when we first met. I remember thinking, “wow this is the kind of mother I want to be when my babies are older! !” We met off the app Peanut, which is an app that takes the awkward out of finding new mama friends. Unfortunately for me, she moved just after we met. But, she’s the kind of person you’d want to keep close to your heart, no matter how far away she lives! 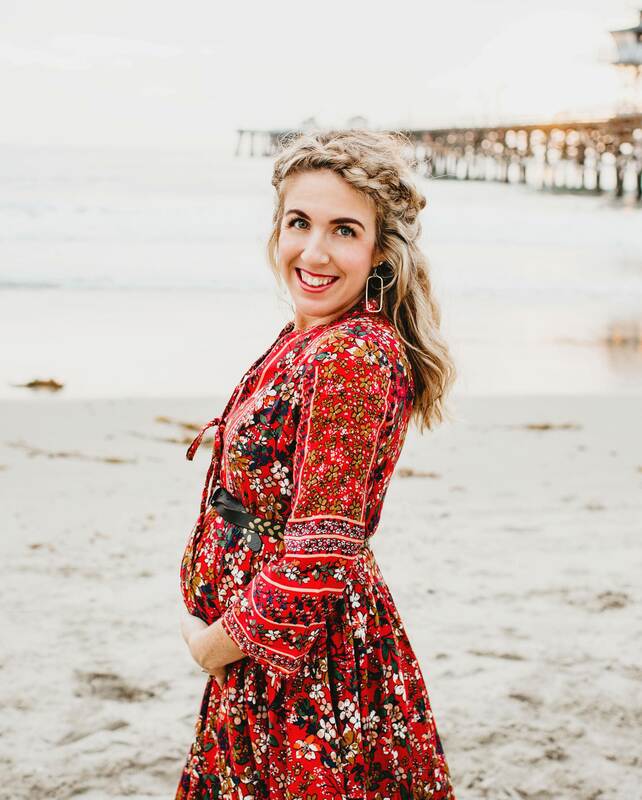 She will be sharing a story that might be all too familiar to some mamas: one that stems from brokenness, but is laced with grace, hope, and resilience. Thank you Lindsay for being a part of our Real-Girls: Mothers community. Finding magic in the midst of motherhood + marriage is something we are all doing, together. Read below for Lindsay’s essay on Motherhood After Infidelity and Divorce. Nine months ago, I discovered infidelity in my marriage. And, it was not long after my discovery that my husband left us for her. Overnight, I became a single mama to a 5 month old and a new 2 year old. Although this past season has been by far one of the most challenging, it has also been so rich in self-discovery and joy. And during this season, I am in process of rewriting my life and discovering who I am as a woman and mother. Choice. One of the most powerful things we have is the ability to choose. This season has been marked by a profound ability to choose my heart and head-stance on so many different situations. We always have the ability to choose joy and gratitude — and when we grasp on to what is good, the circumstances around us seem to take on a different hue. They don’t necessarily change, but their weight seems to become lighter and our perspective gets a jolt of goodness. I have and will continue to tell my girls that they were born with greatness inside of them. That they were created and formed with talents that will bring wonder to the world. Every new day, I am realizing I have this incredible opportunity to display before them hard work, tenacity, adaptability by choosing joy and gratitude. Before I had babies, my dream was to be a mama. I shushed every dream and goal in my heart to the side so that I could be all consumed in helping them grow up and shine. But when my life took a different direction, when my husband chose to leave, I felt this ever small voice whispering to my spirit. And as I listened I began to realize that although that part of my life had come to an end, I was awakening to this second chance. As I’ve begun to dive into this new season, I am discovering the gold that was within me is now finally able to shine. My degree is in Graphic Design but it wasn’t until I graduated with college that I realized my love for hand-lettering and painting. I had been wanting to start a business selling signs, but had never been able to really get anything moving. Being a wife, mother and friend seemed to consume all the time I had, leaving the dream of a business far from anything attainable. But when my life took a different turn last year, I realized that my dream of a business could be what could financially sustain me and my girls. In November 2017, I officially launched my sign business, Ink and Oak Design Co. I had discovered something beautiful in the midst of struggle – my creativity and passion for making. Now, while my girls ride their bikes and collect acorns while I sand and stain my wood. As they bathe, I sketch. And when they nap or have gone down for the night, I hand paint each sign one at a time. Lettering and painting has become an almost therapy for me. As the hours pass I feel this joy and pride consume my spirit and joy is tangible. As a mama to two very small little ones, I had so easily lost myself in my children and in a sense I felt secure in an identity that had them at the forefront. But what I didn’t understand was that, as a mama, God had put within me gold to display for them and experience. Dr. John Trainer says, “Children are not a distraction from more important work. They are the most important work,” and I couldn’t agree more. As a mama, I know understand that the greatest gift I can give my girls is a strong, confident woman, secure in who she is and walking out the gifts put within me. This past year, I’ve been making a conscious choice to be filled. I am now making continual and intentional choices to find the joy in each and every pocket that I can. We can only pour out from the well that is within…and when you are on empty, there is nothing to pour out. Today I have the ability to choose how I perceive my circumstance and choose the glass through which I view my life. And I am choosing joy and gratitude. Working from home I get to be with my girls every single day, and I am thankful that I get to see every first and celebrate every accomplishment. I have two little cheerleaders who think I hung the moon and are pretty darn impressed with their mama. How lucky am I, to be held in such esteem on a daily basis. My girls know that they are loved and to me, that is quite the win. 9 months ago, I sat on my couch in a puddle of tears, empty and terrified, convinced that my life was over, unsure of who I was and struggling to wrap my head around my new reality. But today I am able to look forward with hopeful eyes. We are all butterflies just awaiting to gain our wings. And for most of us, the wings come after the season of darkness. As a single mama I will never be lonely, I don’t even get to shower alone! 😉 But now more than ever I have the honor and duty of raising up strong, confident girls, secure in their identity and bubbling over in contagious grace. And it is my job to display for them someone they would be proud to embody. I am a mama. A creator. A business owner. A painter. A sign maker. A friend. Lindsay Kelleher | Owner of Ink & Oak Design Co.